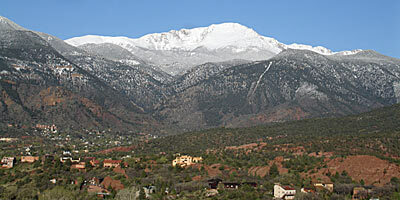 Pikes Peak is named for Zebulon Pike, an early explorer of the Southwest. Lieutenant (later General) Pike first sighted what he termed the "Great Peak" in mid- November of 1806. A few days later, he attempted to climb it with a small band of men. Heavy snows around the 10,000 foot level turned his party back. He estimated the mountain's height at over 18,000 feet (he was only 4000 feet off!) and is said to have claimed that it might never be climbed. However, a botanist who climbed many peaks in Colorado, Edwin James, did ascend the mountain in 1820. By the mid-1800's, a trail was well established to the top, and the first woman, Julia Holmes, climbed the peak in 1858. However, long before Pike explored the area, the Ute Indians paused at the foot of the mountain as they traveled from their summer campgrounds to the winter hunting grounds. Most likely, they scaled Pikes Peak to place eagle traps on its summit, a common practice used on high peaks in order to obtain ceremonial feathers. The Spanish were well aware of the mountain through numerous expeditions, especially that of Juan De Anza, who explored the region in 1779. Trappers had also been working the territory which was rich with beaver, deer, elk, bear, buffalo, bighorn sheep and mountain lions around the same time. Pike's Peak proximity to the edge of the Great Plains and its height made it the first sight of wagon trains searching for new fortunes and beginnings in the American West, leading to the expression in the late 1850's of "Pikes Peak or Bust". 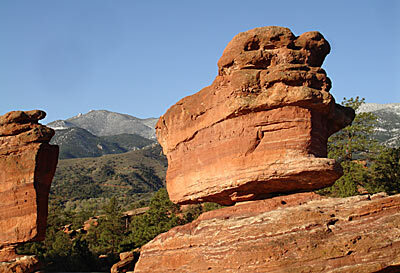 Due to its natural beauty, the Pikes Peak region has always been a magnet for travelers. The first person to promote the area widely was General Palmer, founder of the Denver and Rio Grande Railroad (D & RG RR). He was so enthralled with the attraction of the area that he made his home here. He also realized that the scenery of the region could help promote rail travel to the area on the D&RG RR . 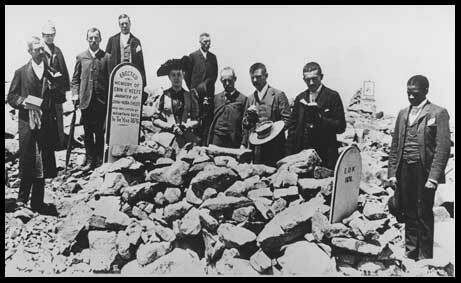 who was eaten by Mountain Rats in the year 1876"
The founder of the Manitou & Pikes Peak Cog Railway was a Mr. Zalmon Simmons, owner of the Simmons Mattress Company and also quite an inventor. Mr. Simmons had patented a new insulator for the telegraph wires which were in use up to the signal station. In the late 1880's, Mr. Simmons rode a mule to the top of Pikes Peak to inspect his creations. He was awed by the incredible views, but was worn out and saddle-weary from the arduous trip. Legend has it that as he sat soaking in one of the mineral spring spas (reportedly at the Cliff House in Manitou), the proprietor of the hotel mentioned to him the idea of a mountain railroad to the summit. Mr. Simmons was taken with the idea, and soon set about organizing a company to build this scenic railroad. 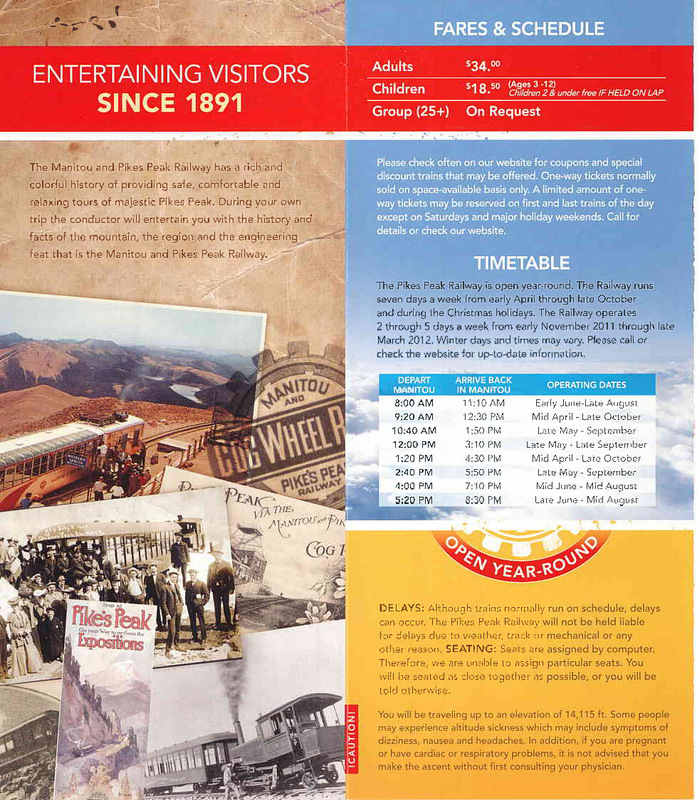 You can read more about the History of the Pikes Peak Railway here. In 1889, a carriage road was opened from Cascade, Colorado to the top. Horses brought passengers about half way, and then mules (noted for their hardiness at altitude) finished the journey. 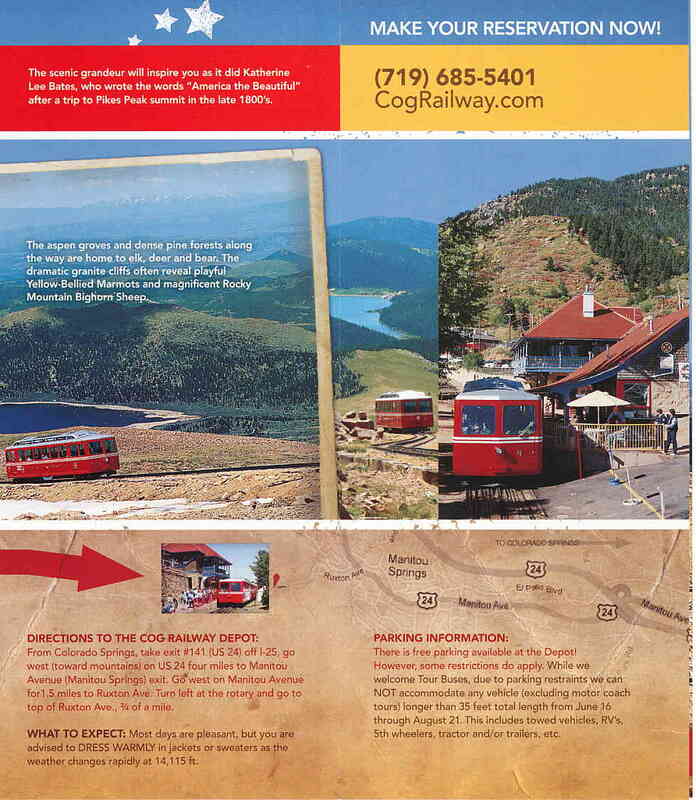 The opening of the Cog Railway, however, forced the carriage road into disuse until 1915, when Spencer Penrose, local entrepreneur and builder of the Broadmoor Hotel, enlarged and improved the roadbed for automobile travel. To promote his highway around the world, he began in 1917 the "Pikes Peak Hill Climb", the second oldest auto race in America. 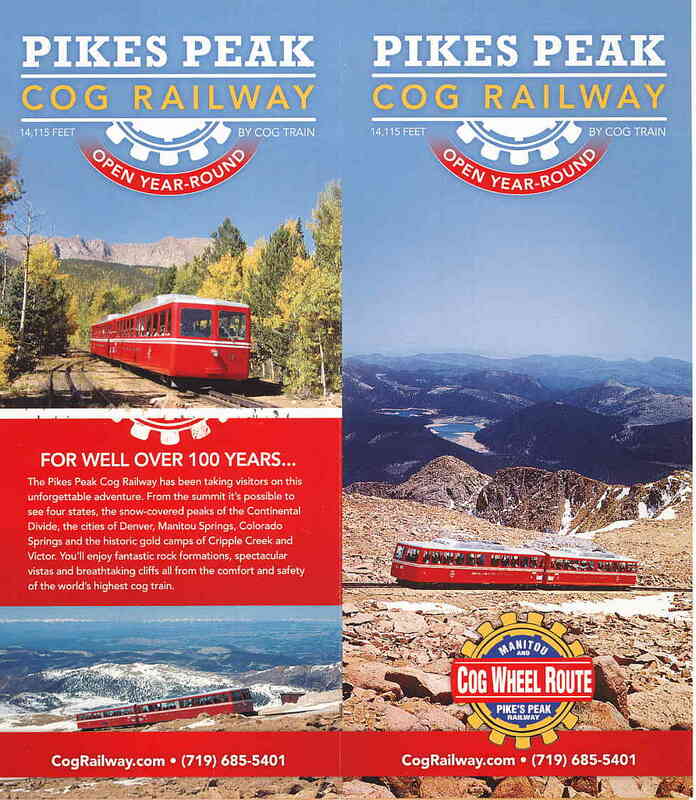 Mr. Penrose eventually purchased the Cog Railway in the 1920's, reportedly to obtain the parking and summit house for auto travelers on the highway. Another local entrepreneur decided that the back of a burro was the best way to see the Peak (as opposed to Mr. Simmons), and from 1914 until 1917, Fred Barr built the trail that now bears his name. Mr. Barr operated a burro concession from the upper terminal of the now-defunct Mount Manitou Incline Railway. Hearty souls would ride to a group of cabins (Barr Camp) and spend the night there. Early the next morning, they would ride the burros to the summit and return back to Manitou. The trail was later extended to reach all the way back to Manitou Springs. Strong hikers today can make the 13 mile trip along the beautiful, but very steep, Barr Trail. About halfway along the way is Barr Camp, where intrepid hikers can get a meal or a bunk for the night (reservations are usually needed)..
Pikes Peak IS NOT the highest mountain in Colorado. It is 31st out of the 54 mountains in the state over 14,000 feet, the highest being Mt. Elbert at 14,433 feet. We owe the inspiration for the lyrics of the beloved song, "America the Beautiful " to the stunning vistas from the summit of Pikes Peak. It was the summer of 1893, and Katharine Lee Bates, a professor of English at Wellesley College, was in Colorado Springs to teach a summer session at Colorado College. On July 22, Katharine, along with several others of the visiting faculty, took a trip in a carriage to the summit of Pikes Peak. Horses got them to the halfway point, and, as was customary, a team of mules finished the climb to the 14,115 foot summit. Because altitude sickness affected one of the party, they only stayed on the summit a half hour, but the brief experience was enough inspire a poem. She wrote.. "An erect, decorous group, we stood at last on that Gate-of-Heaven summit...and gazed in wordless rapture over the far expanse of mountain ranges and sea like sweep of plain. Then and there the opening lines of 'America the Beautiful' sprang into being." ..... "I wrote the entire song on my return that evening to Colorado Springs." Plant and animal life is extensive and varied on Pikes Peak. The mountain encompasses four of the eight distinct life zones that exist in Colorado. 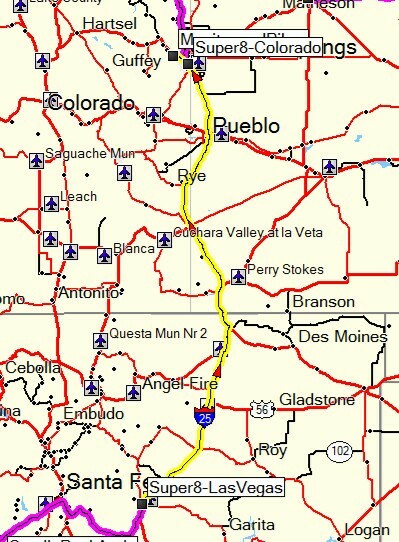 Before you reach the Railway, you are in the Eastern Plains Zone (up to 6,000 feet) which is comprised of wildflowers and grassland and is home to many small animals like prairie dogs and rabbits. The depot is located at 6,571 feet. The Foothills Zone (6,000 to 8,000 feet) is composed of small bushes and trees such as scrub oak, juniper, sagebrush and pinion pine and is inhabited by raccoons, skunks, various squirrels, deer and an occasional bear and mountain lion. The Montane Zone (8,000 to 10,000 feet) has various wildflowers and small shrubs, but large forests of pines and Douglas fir, as well as the colorful aspen tree, are predominant. Deer, elk, bear and mountain lions can all be found at this attitude. The Subalpine Zone (10,000 to 11,500 feet) is less hospitable. Englemann spruce, Douglas fir and bristlecone pine comprise the area’s dense forests. 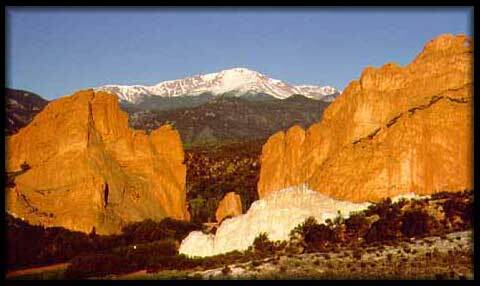 It is estimated that some bristlecone pine trees on Pikes Peak are over 2000 years old. (There is an excellent internet site on these trees and their age..it's at this link http://www.sonic.net/bristlecone/home.html). 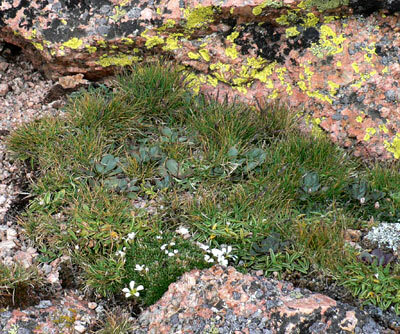 In the Alpine Zone (11,500 feet and above), tundra composed of tiny flowers, mosses and lichen eke out a cold existence in the short growing season. The denizens of this windy zone are mainly the yellow-bellied marmot and the bighorn sheep. 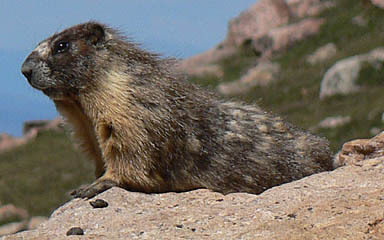 The marmot hibernates during the winter, but the sheep migrate to lower and more hospitable regions. 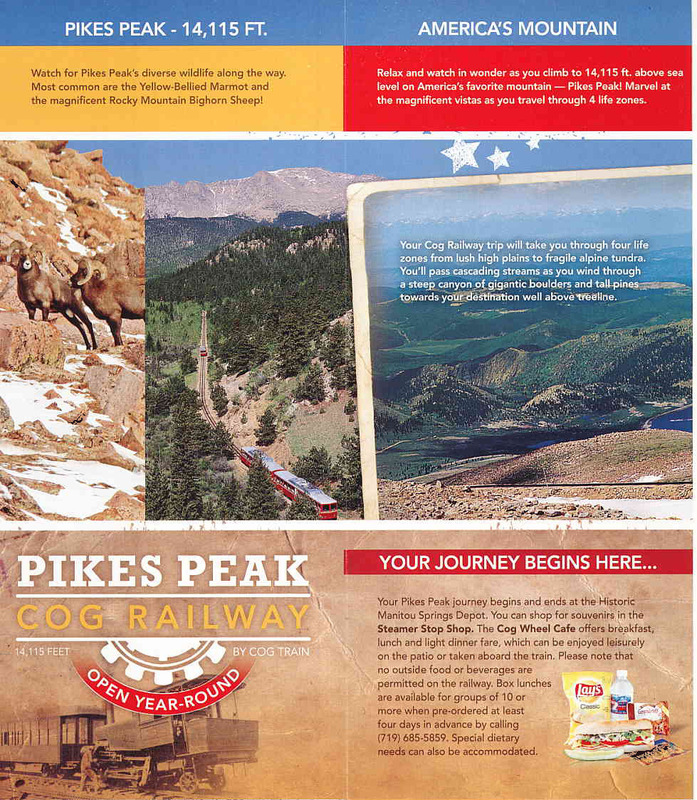 Pikes Peak is home to one of Colorado’s largest bighorn sheep herds, and riders on the Cog Railway frequently see many of these magnificent animals. “We started the whole thing (The Flying W Ranch) with eleven paying guests attending the first night. I think the second night we had seven people. We had one picnic table under a lean-to case of rain and did a lot of cooking in our home, and the pots and pans were washed at the hydrant in our backyard. We were open only two nights a week then, and that’s a good thing as it took us the rest of the days of the week to get caught up and organized. By the next summer we thought we could add another night a week and so that’s the way it was – and by the end of 1963 we were open seven nights a week, as we have been for the past many years, and served 125,000. It worked in spite of the constant and continuous goof-ups. Like the time part of the rock over-hang above one of the outside fireplaces fell into the pan of Bar-B-Q. All of the meat had to be washed off, new sauce quickly made, heated and simmered again. And all done IMMEDIATELY. Or like the time the wrapped silverware had been left at home (about one mile away) and this little error found about five minutes before serving. One thing – we have never served late in all twenty years – and that night was no exception. Serving was started on time and the silver was passed out to everyone after someone had driven frantically over that mile and back. We’ve had our share of raccoons in the kitchen, rattlesnakes on the trail (even one in the biscuit warming oven), run-away busses, locked keys in cars, bears in trashcans, cows in teepees, torrential rains resulting in washed out roads with subsequent frantic clean-up to get the guests back to town, nightmarish days of serving breakfast, lunch and supper and by the time the last guests had gone, we were too. We’ve had our romances and marriages, firings and hiring’s, tears and many joys. One must wonder how we ever served 1300 guests every single night, and not a minute late remember, with all of the minor problems, hanky-panky, etc., but when those gates open at 4:30 pm and our good customers start through the Village – our crew is 100% Flying W – they smile, say “Thank you”, “Yes Sir or Yes Ma’am”, “No Sir or No Ma’am” and put off for a few hours their personal lives. The Flying W Ranch, located in Colorado Springs, is a working mountain cattle ranch that has specialized in western food and entertainment since 1953. 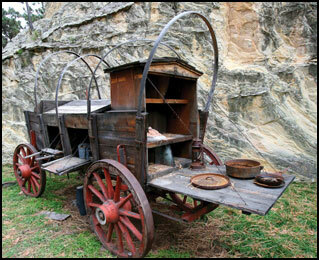 Guests experience picturesque natural surroundings, an authentic Western Village and mighty tasty Chuckwagon Suppers. When the Flying W Wranglers top the evening off with their outstanding Western Stage Show we truly have an offering unsurpassed in Colorado. In our peak season we serve supper to and entertain over a thousand people nightly. Supper and show are outdoors underneath a picturesque Colorado Sky, or in our indoor venue if the weather is contrary. Planning a tour? Company Picnic? Wedding? Reunion? or Graduation Dinner? Click here to recieve more information. Military (Active Duty and Retired) discount price - $23.00 and $28.00 for the 13oz Kansas City Strip Steak. The Flying W Ranch Chuckwagon is open from Memorial Day weekend through the late part of September. As of January 1st 2010 the Flying W Ranch will no longer be open on Sundays except for Cowboy Church service. The Ranch will remain open Monday through Saturday throughout the summer.